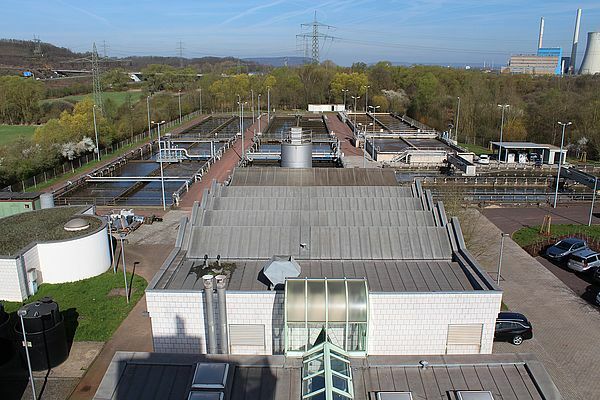 Situated on the bank of the River Saar, close the borders of France and Luxemburg, the Ensdorf sewage treatment plant processes the waste water generated by the region’s 50,000 or so inhabitants and several local industries. Like all modern sewage treatment facilities, the plant relies on a combination of mechanical and biological processes to remove dissolved contaminants and solid materials from the incoming effluent. That’s a delicate balancing act. The inflow rate to the plant can vary significantly, from 26,000 m3 per day in dry weather to 57,888 m3 per day during periods of heavy rain. 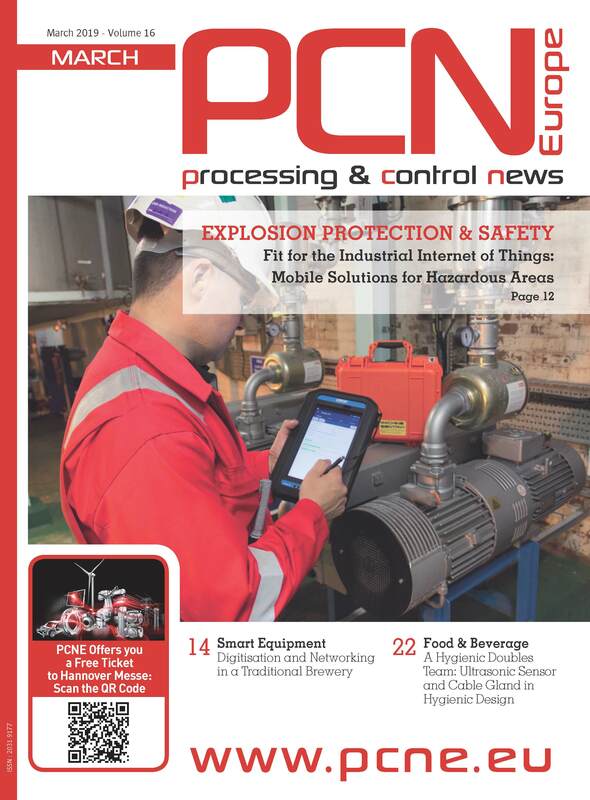 To keep the plant’s processes running properly, staff must adjust the operating speeds of equipment across the facility as demand rises and falls. Originally, speed control in some of the plant’s important equipment was achieved via mechanical means. 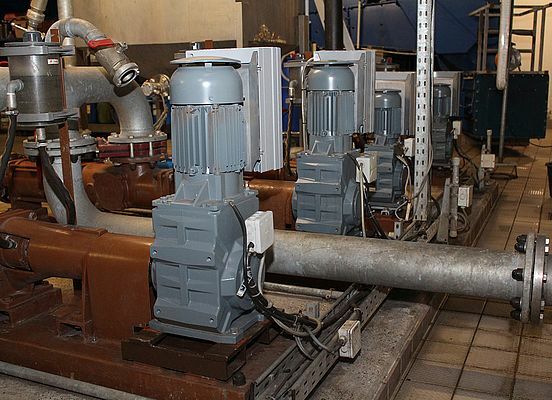 As part of the sludge dewatering process, the pumps that supply sludge to the two centrifuges were powered by 7.5 kW asynchronous geared motors with belt drive adjustment. Additional pumps used a similar system with 4 kW motors to transport the thickened sludge away from the centrifuges. While the belt drive approach provided the necessary speed control, the system proved unreliable in operation. Frequent adjustment of the belts was inconvenient for operators, and breakages were common, leading to downtime and disruption. In search of a better approach, the plant’s managers contacted drive technology specialists, Klebs + Hartmann GmbH, who proposed a solution that not only resolved the reliability issues, but also promised useful energy savings. As a Bauer Gear Motor Gear Centre, Klebs + Hartmann offers its customers engineered solutions for improved performance. In this case, the solution involved the introduction of variable speed drive (VSD) controls and high-efficiency, permanent magnet gear motors supplied by Bauer Gear Motor, part of the Altra Industrial Motion Corp. The new approach solved Ensdorf’s reliability challenges at a stroke. The introduction of variable speed drives eliminated the need for belts and allowed the automation of speed control in the transport systems for the centrifuges. The greater efficiency of the modern motors also enabled significant energy savings. In fact, the new IE3 motors are so much more efficient than the older, unrated units that significant downsizing was possible. The pumps that supply the centrifuges are now powered by 6.3 kW units rather than 7.5 kW and the downstream pumps are powered by 3 kW motors instead of 4 kW. After successful testing with one of the centrifuges, Ensdorf has now installed the new Bauer motors in all four locations. The changes have made life easier for the plant’s operating and maintenance teams, and also provided useful energy savings. the marine environment poses a number of challenges for those who design vessels and the equipment which is used on board.